I always find simple yet elegant things and methods to add simple and unique style and feel to make the house look exclusive and now I find these coasters are the most favorite and latest DIY transformation. You can quickly add some color with stickers and a bit of paint and put a design on any simple glass coasters, vases, or plates. Here you can find easy DIY directions that you can follow easily and make your own design and serve your guests in style. However, the presentation is one of the major things to consider. Clear and plain glass coasters, you can as well use vases glass plates, etc. 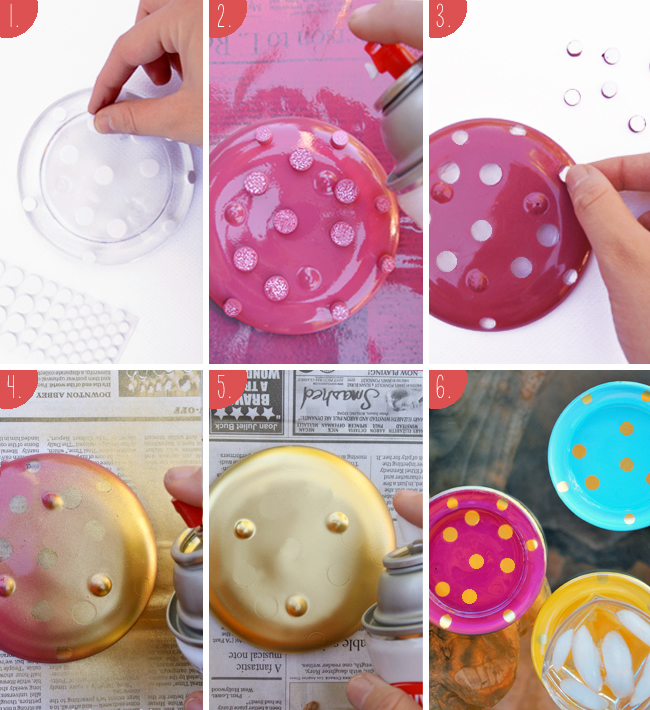 Reverse your plain glass coaster and place various easy-to-remove round stickers randomly on the top of the glass coaster. If you think the stickers are not removable, then it is advisable to check it on another glass before sticking them to your glass coaster. Now, try to peel off, if the residue is still sticking on the glass, then you should use different stickers. 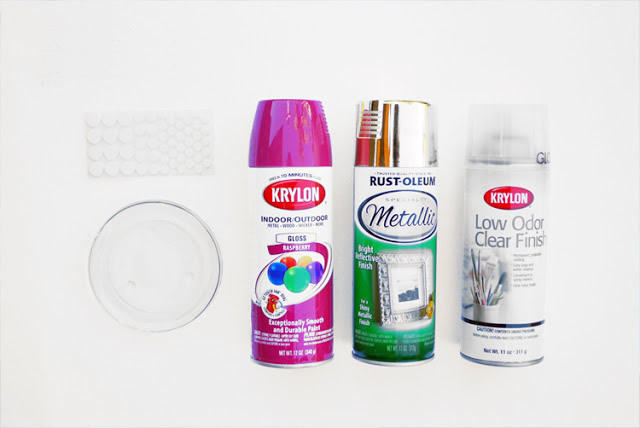 Place the glass coaster in a well-ventilated area, and place the stickered side up and now spray paint on the glass coaster and paint the entire coaster till it is covered completely. Now, put thin coats and ensure not to over-paint because it can easily seep through the stickers. Remove the stickers once you see the paint is dried completely. Make sure to not to peel off the paint on the plain glass coaster. 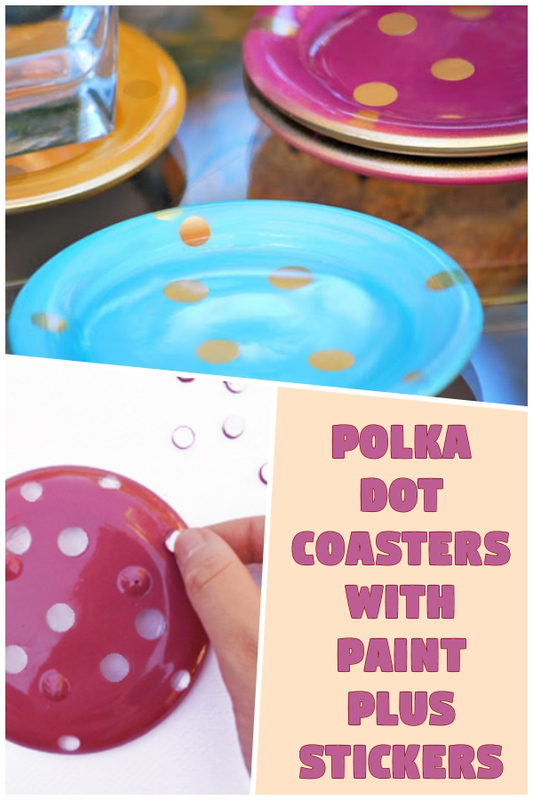 Take another different color spray paint and put another layer on the back of the glass coaster to produce the beautiful polka dot effect. Allow the paint dry completely. Spray craft sealer to prevent the paint from chipping, and also add gloss to get glossy finishing. Before putting the craft sealer make sure to follow the manufacturer’s directions. The sealer will also allow you to wash the glass coaster if required. Once the glass coaster is dried completely, then you can use it to serve your friends and family their favorite drinks.